Does a Solar Panel Generate Enough Power? Solar panels produce electrical power according to their size, effectiveness and how much actual sunlight they receive. For homeowners and small businesses, roof-mounted panels are the normal option. A Solar panel rated at 100 to 200 watts covers about 10 square feet (1 square meter). The power you get from a 100-watt solar panel depends on how much full-on sunlight it receives, and on a daily basis the total power is much less than the rated wattage. There are three main types of solar panels for home and business applications. Each type is a trade-off between energy efficiency and manufacturing costs. Solar panels are just semiconductors that collect sunlight and convert it into electricity. This process is called the photovoltaic effect and the amount of electrical power a solar panel can generate depends directly on how much sunlight it receives, how efficiently it can convert the sunlight into electricity, and just how big the panel is. Yes, it is. A larger solar panel will of course create more power. Wiring several solar panels together is the way to get the 120 volts required to run most US household appliances, but more appliances will need more amps to run them. Volts times amps equals watts, or power. A typical high-end solar panel produces around 180 watts in bright sunlight. Note that Tax credits may be available to US consumers who install solar panels. Solar power is one sound way to the future in energy development. Completely renewable, sustainable and fairly reliable, solar energy is becoming more of a reasonable energy source and less of a craze. If you are thinking of getting in on this sustainable resource for energy, you first will have to do some vital planning. You need to know exactly how much equipment you will want to buy to maintain your current state of living, and that invoves calculating the number of solar panels you are going to have to install. 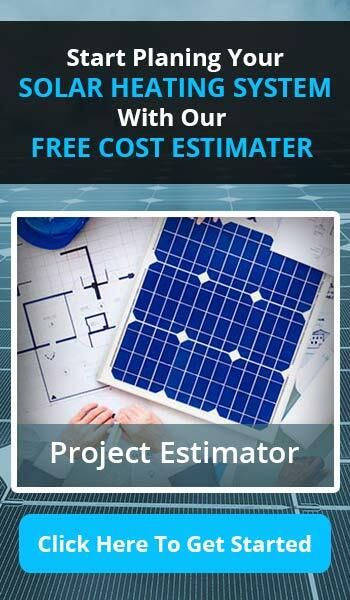 There are numerous calculators available on the Internet regarding solar panel configurations; however, you can follow these simple steps to calculate by hand today. Ascertain the number of kilowatt hours or kWh your household uses on a typical day. This can be done by examining your electric bill and dividing your monthly kWh measured by the number of days in the billing cycle. For a more accurate estimate, look at your year-end kWh usage and divide by 365. Calculate the amount of energy that can be stored in your battery bank. Determine the size of battery bank required with this formula: (total load in watts X days of backup storage) / (system voltage X efficiency after system losses). As an example, the average US household uses 29 kWh per day, and let’s say you need two days of backup storage with 24-volt batteries: (29,000 X 2) / (24 X 0.80) = 3,020.83 amp hours at 24 volts. Most 24-volt batteries will sustain around 5 amp hours, and since you will also be charging your system constantly with the solar panels, you can assume that there will only be a 5 percent drain on your batteries. Thus, 3,020.83 / 5 = 604 X .05 = 30.2 or a bank of 31 24-volt batteries. Solar power harvested through photovoltaic panels generates enough power to supply electricity to hundreds of thousands of homes in the United States. With a small and portable, homemade solar generator, you can achieve the freedom to work from remote locations and access your PC or Laptop whilst exploring the wilderness. Going off the grid is becoming easier and more accessible as more people come to understand the financial and environmental benefits of “free energy”. Choose a portable solar panel setup. Decide on the number of panels and the wattage output based on the quantity and intensity of the sun in the area you will be visiting. Consider how many computers you want to have running and the duration of their intended use. The solar panel’s voltage is equal to the system output, so 120 watts is the standard output necessary to run laptops and most other US appliances. Several online sources provide instructions for making your own solar panels from copper sheeting. However, this painstaking DIY method is insufficient to run a computer. Instead, you can find affordable solar panels at camping retailers, solar supply stores and many online sources. Shop around to find the highest quality and output at the most affordable price and get the Solar Panel set up you will need to achieve freedom to roam!